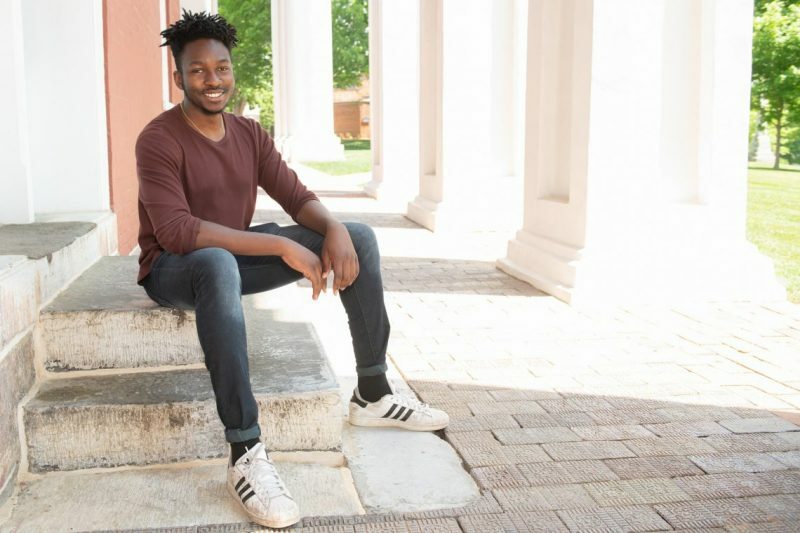 No Longer a ‘Reluctant Leader’ Truth Iyiewuare '18 looks back at his growth as a member—and then president—of the Student Association for Black Unity at W&L. A couple of months ago, I was at an event — I think it was the LEAD banquet ceremony in Evans Dining Hall. During the event, President Dudley came to the stage to give a few opening remarks before awards were handed out. Admittedly, I don’t always pay full attention during ceremonies like this, but there was a part of his speech that still sticks with me. Like the philosopher he is, he started talking about Plato. He mentioned Plato’s views on the kind of people who should become leaders. I can’t remember the quote exactly, but the message was that, essentially, we should look for people who are reluctant to be leaders to actually lead us. People who are too eager to lead are more likely to do it only for their own personal gain. Those that are unwilling to lead but still choose to do so, do it for the greater good of society, and not for any ulterior motives. I’m not a philosopher, so I can’t really speak to the legitimacy of Plato’s theory. The part that struck me was the way it described reluctant leaders. I saw myself in that description. I spent a lot of my first year of college just trying to cope. My home in Houston, Texas, was a long way from campus, and most of my time was spent trying to get a grasp on where I belonged in the social space here. Greek life wasn’t really for me, and based on the lack of diversity I saw, neither was the party scene. I didn’t do any visits beforehand, so my first steps on campus were only a couple days before classes started. The phrase you’ll hear a lot of students like me use about their first day on campus is “culture shock.” Luckily, I was able to find a core group of friends early on who were there to support me through the struggle, and still do to this day. But even with my friend group, I didn’t seek to be a leader, and didn’t apply myself to any extracurricular activities. Near the end of my first Winter Term, I received an email notifying me that I had been nominated to be the advertising chair for the Student Association for Black Unity (SABU). At the time, I had only been to one meeting and one or two organization events. I didn’t think anything of it, and disregarded the email. Yet, a week later, I somehow won the election. I was a bit annoyed about being thrown into an executive position that I didn’t even want, but before I knew it, I was creating flyers, sending out emails and throwing support behind this organization to which I had barely been exposed. By the next year, I was vice president with Elizabeth Mugo ’19, and we held 15 events throughout the year, most of them new ones that stemmed from random ideas from the general body. The year after, I was elected president, and we kept it up — holding rallies, showing movies and hosting collaborative events with other organizations, non-Greek and Greek alike. I found myself going to meetings with administrators, and having my voice included in conversations about decisions that would affect the entire school. I’m on panels and meetings about diversity, and I’m a member of Kathekon, ODK and Phi Beta Kappa — all things I never would have dreamed of claiming during my first year here. A lot of people come to this school with high school accolades — top 10 percent of their class, valedictorian, president of an organization, part an honor society — I was none of those things when I stepped foot on campus for the first time. But being here at W&L has made me into a better person than I could’ve hoped to be. I’ve met so many beautiful individuals who have put so much energy into making sure I flourish here, and I appreciate them for every second of it. Graduation’s coming soon, whether I like it or not. I think my goal as a leader of SABU was to create something that wasn’t here before; to be for other people what SABU was for me. I hope I was able to do just that, and I feel confident that those coming after me will be able to do the same. Way too many people to name, so I’m bound to leave out somebody. But to name a few (in no particular order): Dean Tammy Futrell, Kelsey Goodwin, Kim Hodge, Dean Tammi Simpson, Amber Cooper, Dr. Moataz Khalifa, Professor Jess Keiser, Professor Ken Lambert, President Will Dudley, Lt. Chuck Hubbard, Professor Jon Eastwood, Chris Moore (former residence and Greek life coordinator) and many, many more. Napa Thai. Beef fried rice, spiciness 7 or 8. That one time my friends and I freestyled on Traveller and we all went in. It’s a tie between Black Ball and Taste of Africa. Initially, because the financial aid package was looking real nice. I’m a QuestBridge scholar, so everything was paid for before I came here. But I chose to stay because of the relationships I’ve made and the deep sense of community that exists here.